The 2014 Metro FM Awards were staged at the Inkosi Albert Luthuli Conference Centre in Durban, South Africa in March celebrating 20 years of democracy as a country through music and the very best of the urban genre, with 19 Awards and a star-studded line up of eight A-list live performers. It was broadcast live on the South African Broadcasting Corporation’s SABC 1 TV channel. 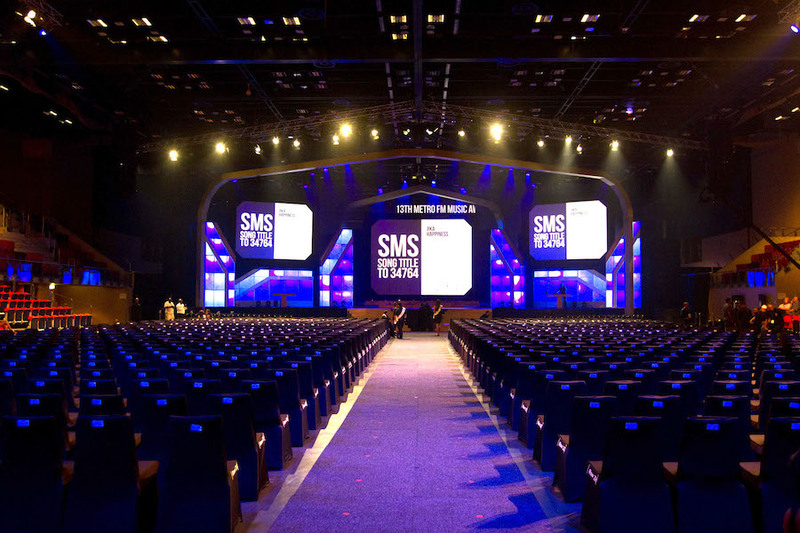 Francois van der Merwe of the Wizardry Group was asked by Johannesburg based visual design and concept practice Dream Sets to design lighting for the 13th edition of this high profile event, which was presented by Metro FM DJ Phat Joe and TV host Pearl Thusi. He included 140 Robe lighting fixtures on the lighting scheme to achieve spectacular results. 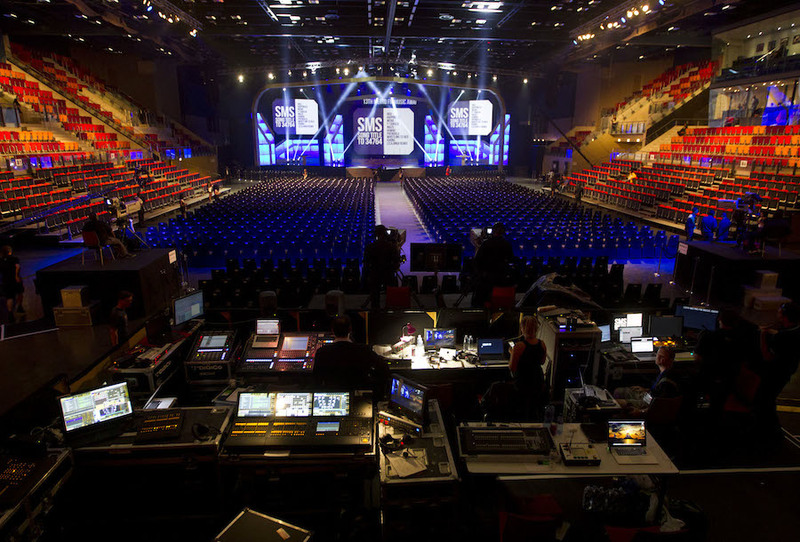 Dream Sets – who have their own stock of Robe fixtures – were the event’s technical production suppliers. The lighting equipment was supplied by them and MGG for producers Blue Moon. The set, designed by James Macnamara, was derived from the triangular geometry and style of the South African flag with 3D aspects across the back made up from several distinctive back-lit ‘light-box’ areas. The set was also used for video projections, introducing another challenge for lighting which needed to be carefully balanced so both mediums could flourish and complement one another. This provided the starting point for van der Merwe’s lighting design, which needed to integrate the set in a seamless visual picture that worked equally well on television as for the large live audience. It also had to be ultimately flexible to deal with the variety of onstage action – all the eight live performances were medleys, and within these each section needed its own lighting oeuvre. A series of trusses – matching the lines of the substantial stage set – were flown above the stage to provide lighting positions, and onto these were rigged 42 x Robe ROBIN LEDWash 600s, eight ColorWash 2500E ATs, 12 x ColorSpot 700E ATs and 18 x LEDBeam 100s. 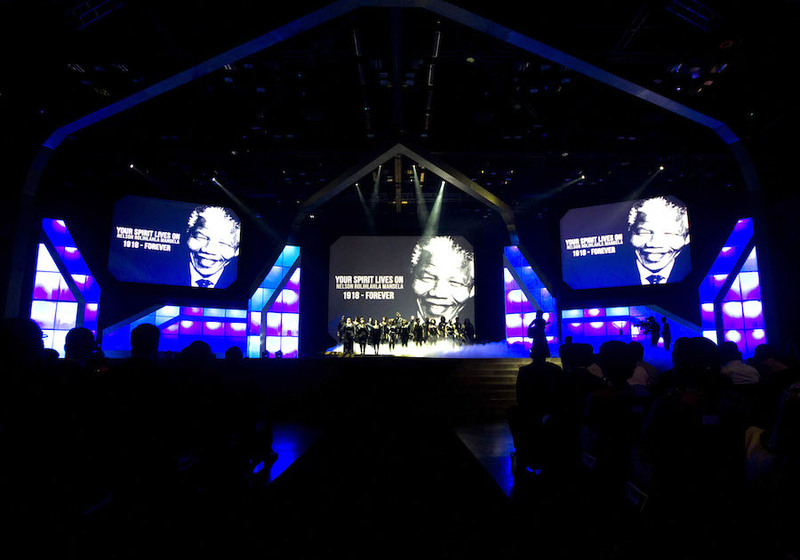 Around 60 x Robe LEDForce PARs and CitySkape 96 LED Wash fixtures were used to back light the set panels, achieving the light-box effects and by changing colour transforming the overall shape and appearance of the set dramatically – including into the signature SA flag look. The LEDWash 600s formed an upstage back-wash pointing down onto the stage, with 12 units also rigged right at the back of the auditorium for contra-lighting the audience in reverse shots and 12 on the front lip of the stage for front audience fills. The ColorWash 2500s front lit the stage and key lit performers and presenters, supporting around 40 x 2K fresnels. The tiny LEDBeam 100s were also located on the front edge of the stage and used to outline the contours of the set and the upstage sections of the stage as well as providing funky twinkly effects for the wide jib shots. Six of Robe’s ColorBeam 700s were positioned on the back truss engaged in beam-work from the roof, joined by the ColorSpot 700E ATs which created gobo patterning and effects onto the stage floor. Van der Merwe used a grandMA2 full size to run the show’s lighting with a Command Wing as backup. He is a big Robe fan and has been using the brand constantly in his work for the last five years. He comments, “The different Robe fixtures all work very well together and as always gave me plenty of scope to create an interesting and exciting show”.